Arthroscopic Surgery is a procedure that allows surgeons to see, diagnose, and treat problems inside a joint. The procedure, also called an Arthroscopy, requires only small incisions and is guided by a miniature viewing instrument or scope. Before arthroscopy existed, surgeons made large incisions that affected the surrounding joint structures and tissues. They had to open the joint to view it and perform surgery. The traditional surgery method carries a higher risk of infection and requires a longer time for recovery. In contrast, arthroscopy is less invasive. It has a decreased risk of infection and shorter recovery period. Today, arthroscopic surgery is one of the most common orthopedic procedures. Arthroscopic Surgery uses an arthroscope, which is a very small surgical instrument; about the size of a pencil. An arthroscope contains a lens and lighting system that allows a surgeon to view inside a joint. 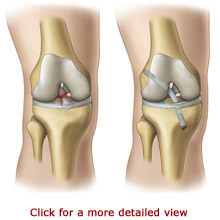 The surgeon only needs to make small incisions and the joint does not have to be opened up fully. The arthroscope can be attached to a miniature camera. The camera allows the surgeon to view the magnified images on a video screen or take photographs and record videotape. Initially, the arthroscope was designed as a diagnostic tool for planning traditional open joint surgeries. A surgeon uses an arthroscope to diagnose joint conditions when physical examinations or imaging scans are not conclusive. The diagnostic accuracy of arthroscopy is highly precise. As the technology developed, special surgical instruments were created to use with the arthroscope. Now, it can be used to treat conditions as well. Like the arthroscope, the thin surgical instruments are inserted into the joint through small incisions. Some injuries or problems are treated with a combination of arthroscopic and open surgery. Although nearly all joints can be viewed with an arthroscope, it is used most frequently to treat six joints. These include the knee, shoulder, elbow, ankle, hip and wrist. Arthroscopy most commonly treats diseases and injuries that damage the bones, cartilage, ligaments, tendons, and muscles that make up a joint. Bones are the hardest tissues in our body. They support our body structure and meet to form joints. Cartilage covers the ends of many of our bones. The cartilage forms a smooth surface and allows the bones to glide easily during motion. Disease and injury can compromise the cartilage and joint structure and disrupt their functions. A condition called Chondromalacia can cause the cartilage to soften and deteriorate because of injury, disease, or “wear and tear.” The curved cartilage in the knee joint, called a meniscus, is especially vulnerable to tears during injury. An arthroscopic surgery can treat these conditions by shaving and smoothing out the cartilage. It can also remove abnormal growths from bones, such as calcium deposits and bone spurs. Tendons are strong fibers that attach our muscles to our bones. They are tissues that do not stretch easily and are susceptible to tears under repeated or traumatic stress. Ligaments are strong tissues that connect our bones together and provide structural support. The ligaments are lined with Synovial Membrane called Synovium. The Synovium secretes a thick liquid called Synovial Fluid. The Synovial Fluid acts as a cushion and lubricant between the joints, allowing us to perform smooth and painless motions. Trauma and “wear and tear” from overuse can cause injury and inflammation to our tendons, ligaments, and Synovium. Tendons in the shoulder and ligaments in the knee are frequently torn or impinged from trauma and overuse. An arthroscopy can repair tendons. Many ligaments and tendons can be repaired arthroscopically. Synovitis, a condition caused by an inflamed lining of a joint, can develop in the knee, shoulder, elbow, wrist, or ankle. Arthroscopy can treat synovitis by removing scar tissue or the inflamed synovium. A synovial biopsy, a tissue sample for examination, can be done via arthroscopy. 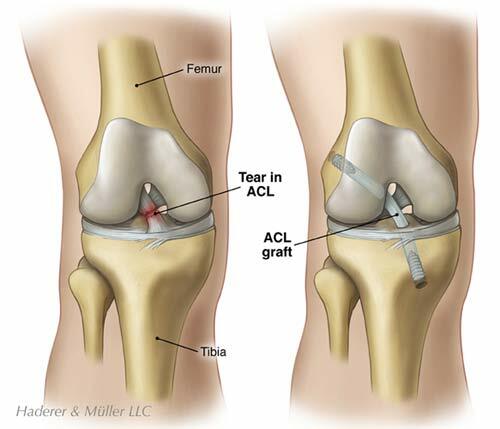 Arthroscopic surgery is usually performed as an outpatient procedure. In some cases, an overnight stay in the hospital may be needed. You may be sedated for the surgery or receive a local or regional anesthetic to numb the area, depending on the joint or suspected problem. Before the surgery, your surgeon will elevate your limb and apply a tourniquet, an inflatable band. This will reduce the blood flow to your joint during the procedure. Your recovery time will depend on the extent of your condition and the amount of surgery that you had. Your surgeon will let you know what to expect. Your surgeon may restrict your activity for a short period of time following your surgery. It is common for people to return to work or school within a few days. In some cases, rehabilitation is recommended to mobilize and strengthen the joint. It usually takes a joint several weeks to fully recover. An arthroscopy can be a short procedure. In some cases, it may only take minutes for the actual surgery. Because it is often a shorter procedure, a smaller amount of anesthesia is required and individuals need to be sedated for shorter amounts of time than with open joint surgery. Most people have the procedure as an outpatient and return to their homes in just a few hours. Overall, an arthroscopy requires a shorter length of time for recovery than open joint surgery. It also has a reduced risk of infection and causes less pain because only small incisions are used and less surrounding tissue is affected or exposed. 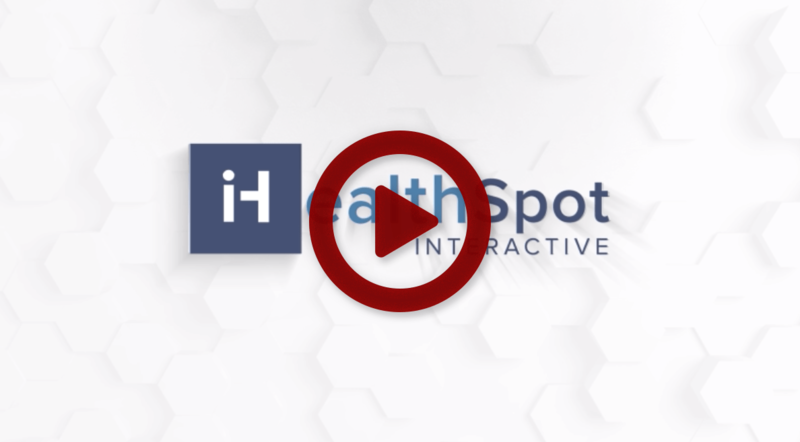 We invite you to explore our comprehensive list of resources and educational materials designed to help educate you about your orthopedic condition or treatment. Personalized Orthopedics of the Palm Beaches welcomes you to our blog and invites you to browse around for the latest news in orthopedics and more. Copyright © Personalized Orthopedics of the Palm Beaches. At Personalized Orthopedics of the Palm Beaches, our board-certified and fellowship-trained orthopedic surgeons, physical therapists, physiatrists and interventional spine specialists have expertise in treating conditions and injuries affecting the back and neck, shoulder, and the hip and knee. Our areas of expertise include General Orthopedics, Interventional Spine/ Physiatry, Sports Medicine, Total Joint Replacement, and Work-related Injuries.